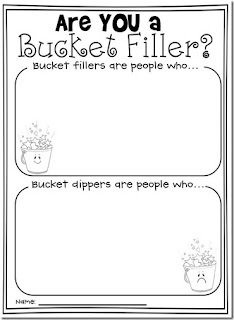 I assume you've all heard of "bucket-filling" and "bucket-dipping", and are aware of this popular book by Carol McCloud. 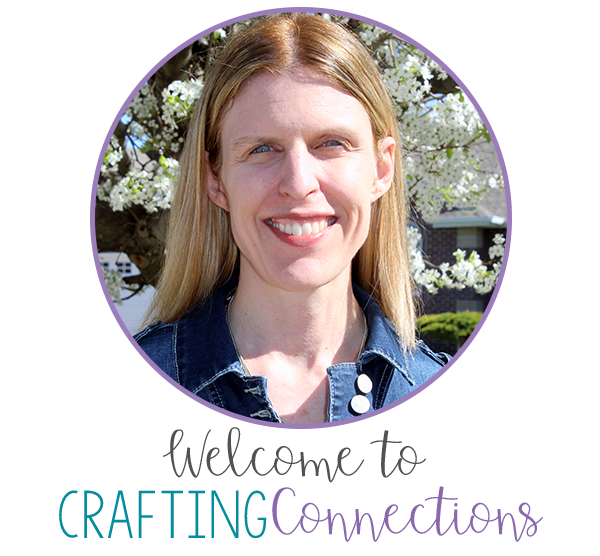 It teaches kids to imagine that everyone carries an invisible emotional bucket, and it's our actions that determine how full or empty another person's bucket is. 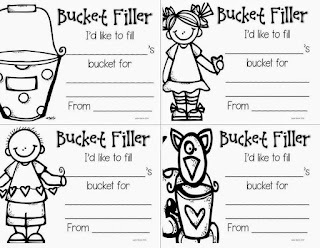 Kind actions and positive behavior results in bucket-filling, while hurtful actions and negative behavior results in bucket-dipping. 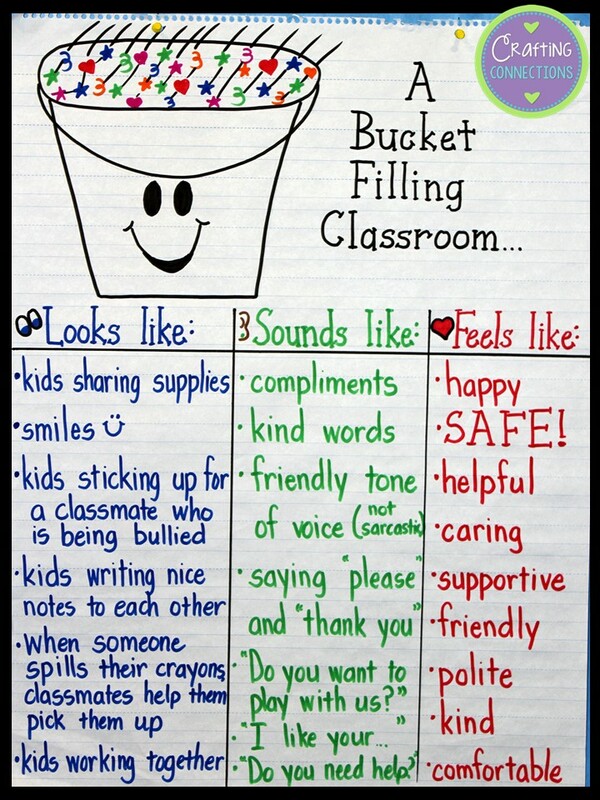 After reading the book with my students, I unveil my anchor chart. 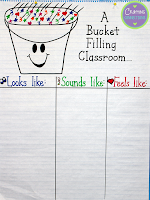 When we begin our discussion, I only have the title, the drawing, and the three empty columns drawn on the anchor chart. 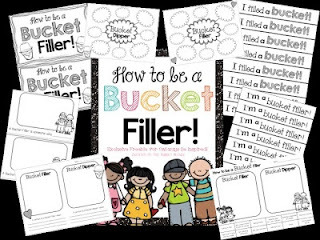 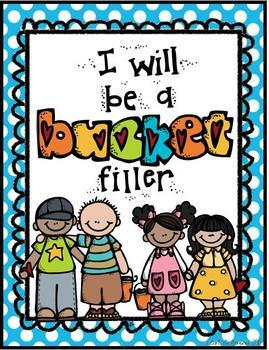 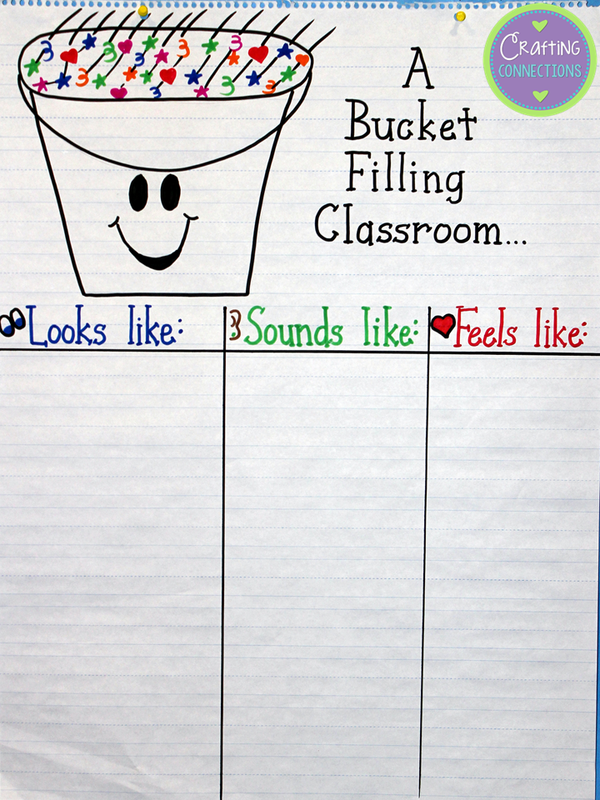 I have my students brainstorm descriptive phrases that we can put on our anchor chart that will remind us throughout the year what a bucket-filling classroom looks like, sounds like, and feels like. 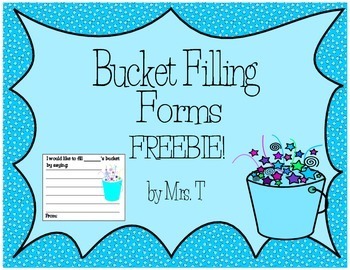 If you are looking for a follow-up activity for this anchor chart lesson, you might want to check out these fabulous freebies that I ran across!